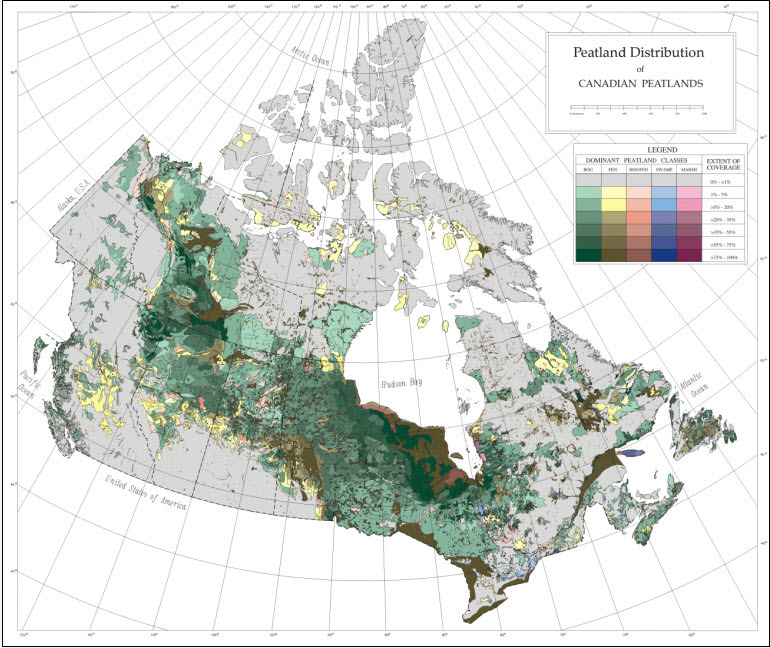 Peatlands, which are dominant features of the Canadian landscape, cover approximately 1136 x 103 km2, or 13% of the land area. These peatlands are essential to the global environment because they retain, purify and deliver fresh water, store carbon, absorb pollutants and support numerous species of plants and wildlife, many of them identified as endangered. Under current scenarios of increasing greenhouse gases, the expected increases in global temperatures have the potential to affect peatlands in many areas. 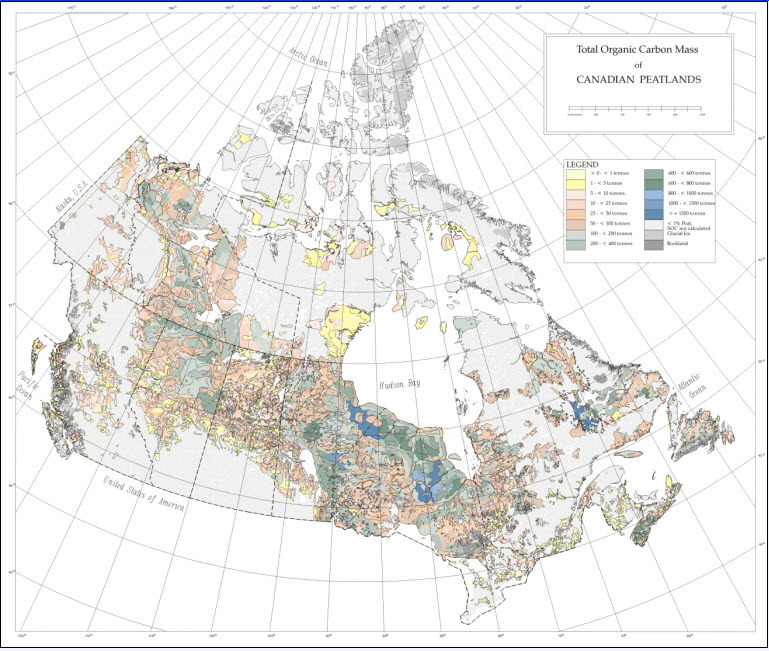 Most of the peatlands (97%) occur in the Boreal Peatland Region (64%) and Subarctic Peatland Region (33%). 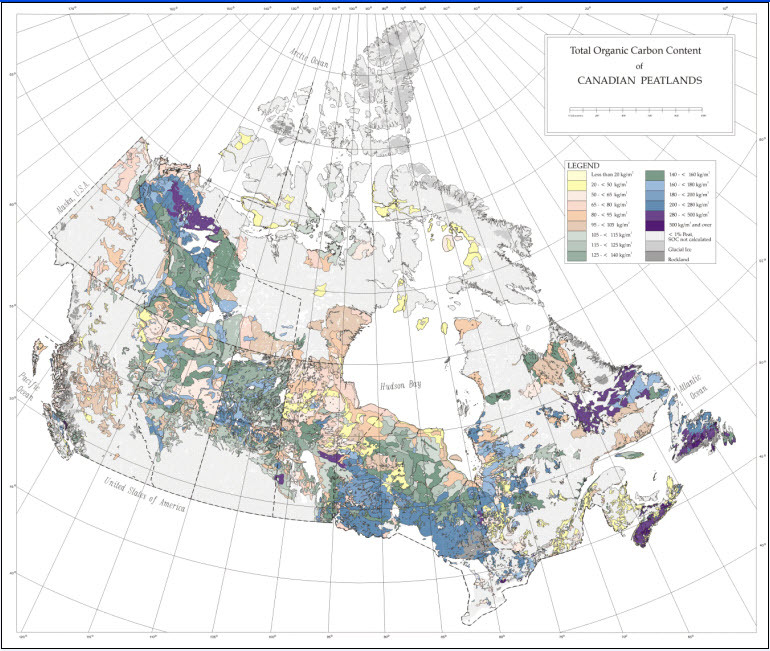 Because of the large area they cover and their high organic carbon content, these peatlands contain approximately 147 Gt soil carbon, which is about 59% of the organic carbon stored in all Canadian soils.